A veteran web consultant on the industry’s biggest flaws and how to address them. In October, Google Maps rolled out an experimental feature that estimated the number of calories burned when people walked to their destinations. The feature had a little quirk, though: It used mini-cupcakes to illustrate the calorie counts. The backlash was immediate. Users pointed out that calorie counts could act as a trigger for people with eating disorders. Others found it shaming, and questioned how Google was counting the calories. And the kicker? 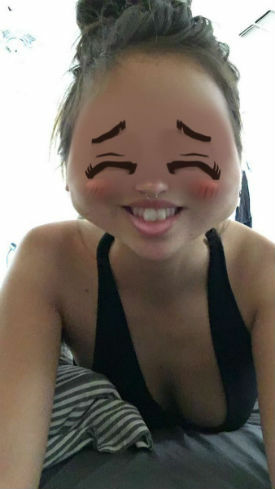 There was no easy way to turn the feature off. A week after it was introduced to iPhone users, Google ditched it, citing “strong user feedback,” according to TechCrunch. Wachter-Boettcher isn’t totally anti-tech, but she argues that coders, designers, and the industry at large need to do a better job of checking their biases. She brings us into the design process, showing how a lack of diversity can lead to very narrow ideas about who is using the product. Seemingly small things, for instance, the default choices users are presented with in an online form, can have a tremendous impact on people’s lives—especially as tech moves further into fields such as predictive policing or personalized education. I asked Wachter-Boettcher about the biases she has observed and what a more inclusive tech product might look like. Mother Jones: What was the first example of problematic tech that really stuck out for you? 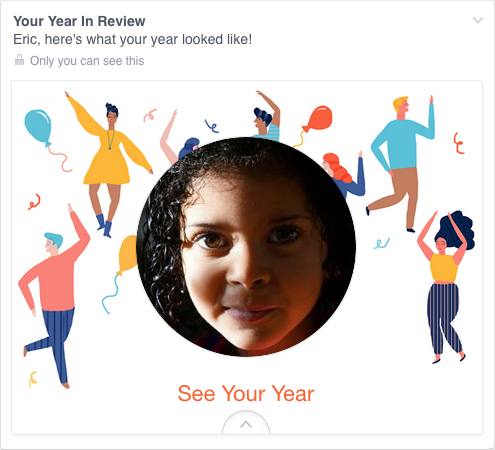 Sara Wachter-Boettcher: One of the first was when Eric Meyer, my co-author for Design for Real Life, had this tragic experience with Facebook’s year-in-review feature: At the end of 2014, he got this ad for a year-in-review [photo album] and Facebook made the cover one of his most popular photos of the year—one with the most comments, the most engagement, as they say. It was a photo of his daughter, Rebecca, who had died a few months before on her sixth birthday. Facebook had inserted it into their ad, surrounded her face with all these peppy illustrations of people dancing at a party with balloons and streamers and told him, “Hey, here’s what your year looked like.” He was just completely gutted by this—it broke his heart all over again. Facebook made a lot of assumptions and decisions that had a profound emotional effect on him. And it really hit me how much tech has been so narrowly focused on metrics of engagement—by toying with emotions, or by making assumptions about what people wanted—without really thinking of the ramifications. What’s really fundamentally going wrong in so many tech products—especially if you look at the investigation into Facebook ads and Russian meddling—is this prioritization of engagement so we can get ad dollars at all costs. People have this “move fast, break things” mentality, where it’s assumed that anything you break isn’t going to be that big of a deal, but you see that mentality being taken to further and further extremes, and it’s starting to cause tremendous problems. MJ: Do you think people in tech realize this? SWB: Since the book came out, I’ve been hearing from a lot of people in tech that this is entirely new to them. Just like in any industry, you’re very focused on your work, on what’s happening day to day, and you haven’t necessarily zoomed out and connected the dots. There are certainly people wrestling with what the tech industry has created, but it’s not consistent. I hear from a lot of people who aren’t in tech and often have a great love for tech but also have a sense of, “Oh, this is creepy, this makes me feel weird, I worry that this is too invasive.” But oftentimes they don’t have a lot of vocabulary to identify what’s going on, or why it’s making them feel that way. MJ: In the book, you talk a lot about how the design process leaves certain people out. Will you elaborate? SWB: Tech companies are used to designing for the “average user,” the normal person. You’ll see that in the use of personas, which are these fake profiles of people that you target in your design and ask questions like, “How did this persona perceive this feature?”But personas are really flat. They don’t reflect the actuality of people. They can be very limited and jump back into stereotypes, and can make assumptions like, “Oh, this persona is a 35-year-old mom, so what we should be targeting is this,” without really getting into the needs, desires, and patterns that are likely to drive decisions. We don’t stop and think about, well, how does this work for someone who’s different from what’s envisioned? Eve by Glow, a period app designed by men. MJ: Your book makes us think a lot more about default options. For instance, my name is too long for Twitter, and I never really thought about how maybe Twitter could do something to make sure the name field was long enough. SWB: Right. My name doesn’t fit either. This comes back to that profound lack of perspective on what the world really looks like, and that paternalism, of like, we know what names look like, this is fine. I don’t really think we want a group of people who are so nonreflective of the world to make decisions about how identity should be categorized. In my mind it’s like, okay, you can still use the product. But I do think of these things as digital microaggressions. They add up over time, and they’re definitely alienating. And they’re red flags for bigger underlying issues. If you haven’t thought about diverse names, then what else are you not thinking about? MJ: You’ve really called out the tech industry for ignoring these issues. What has been their response? SWB: So far, so good. I think there are definitely people who would say, “I don’t care; this isn’t important.” But I’ve also gotten a lot of positive responses. There are some people who are really hungry for this, and they’re realizing something needs to change. I’ve been thinking about this tweet from Zeynep Tufekci a lot, where she says: The tech industry has effectively been telling itself that what it’s doing is tech, but actually they are in the people business, and they’re in way over their heads. I was up at Google Boston’s office the other day, and somebody mentioned that a lot of the time, product ideas come from engineers who see they could do something cool. I think that [mentality] has been prized for too long. That is not what’s going to make a sustainable, ethical, tech product. That’s what’s going to make something that might seem cool on its face but could have tremendous ramifications that are not well understood. MJ: So broadly, if a company were going to be more inclusive, what should it be doing? SWB: One thing would be looking at not just, “Do we have a diverse team?” But also, “Do we have people who understand how what we’re creating could impact people—whose job it is to think about that?” Then I would think a lot about process and priorities. So how do you decide you’re going to be building a new feature, who’s there to provide checks and balances, what are the ethical guidelines? If we can spend so much time and energy adding mini-cupcakes to things, can we spend a minute thinking about how people are actually using this product and trying to avoid harming them? The idea that the tech industry is going to get to decide for everybody what should be important or what we should care about is pretty ridiculous, and I don’t think anybody actually wants to live in that world. MJ: So what can we do about it? SWB: That’s the No. 1 question people ask. This isn’t a scenario where you can vote with your dollars—most of the time you’re not paying these companies any money. You could basically opt out, which is a perfectly fine choice, but I don’t really think that’s the answer. What we’re dealing with is systemic, and the only way it can be fixed is at that level. So what can you do as an individual is to understand what’s going on and to know how tech companies operate and what their incentives are. I think that awareness, even if nothing else about your behavior changes, creates a much better opportunity to have these critical conversations about technology, our boundaries with it, and the role it’s playing in our lives. The big problem is that tech has gotten a free pass. And there’s no reason it has to be that way.